I have helped many couples add that extra something into their wedding/civil ceremony by means of a wonderful first dance. In fact I have added up that in the last three years I have worked with 236 brides & grooms!!!! You can feel quite self conscious standing in the middle of a dance floor with all of your friends and family watching you sway to your favourite tune. So - what can you do? 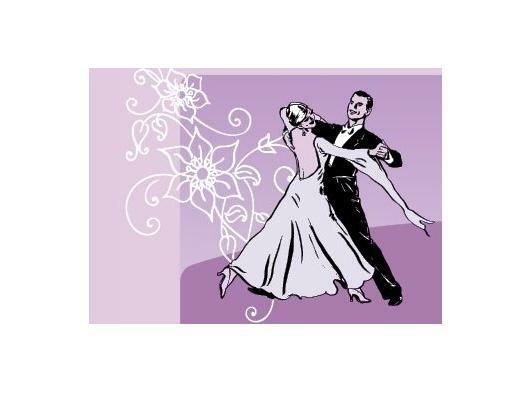 Once you have chosen your tune I can choreograph a simple and yet stylish dance that will become so special. It is possible for me to visit the wedding reception venue during the build up to the wedding depending on its location and the flexibility of the venue. The amount of time you need before your wedding for lessons can vary and is really down to how confident you feel. I feel a nice number of lessons/hours are between 4 & 6 hours to achieve a stylish and competent routine - anything over that is a bonus. My advice is to always try and book some time the week before/during the week of the wedding for a couple of run throughs for your peace of mind. Whatever your reception venue or choice of song you will feel more confident and leave your guests wishing they had done something similar at their wedding. Most people like to keep both feet firmly on the floor but it has been known for a few couples to request a lift or two!! How about getting your family & guests involved - I just recently taught a party of 20 the day before the wedding!